How did we come up with the idea for the caterpillar? This was probably the area that took the most time (next to the actual costume build) there were a lot of 4 person costume ideas thrown around – but finding the one that would fit our group dynamic and become viable. And also our key requirement was to make it unique and fun! We came up with a short list of ideas and then started to bounce ideas around with friends and our run club, Dog Haus Run Club (DHRC) in Pasadena, CA. I recall at the original inspiration that we thought would work was a “slinky” from Michelle Hernandez at DHRC. Somehow that idea morphed into a “slinky caterpillar” which since the slinky is flexible and would give the costume some bounce. In the end you wouldn’t know our caterpillar is a slinky, however, the costume functions the same – beneath the shiny sequence fabric. 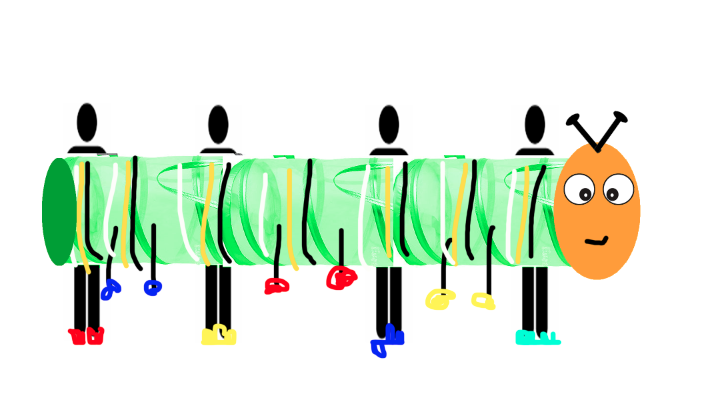 The idea for the Caterpillar just kind of stuck, and we came up with this original mockup of the costume during our flight to run the San Francisco Marathon this past July. What was the inspiration for running the Berlin Marathon? 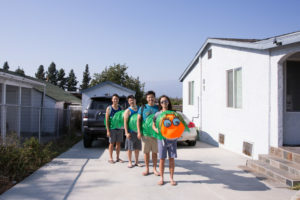 My group of friends and I have been running marathons together for the last few years, and decided to attempt to break the record for the 4 person marathon in a 4 person costume. 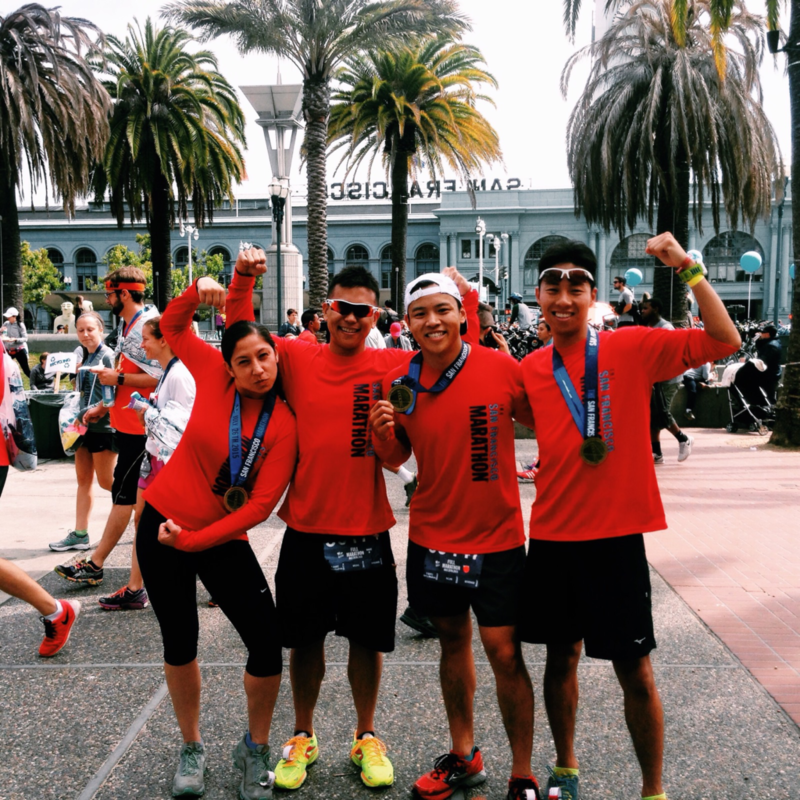 As a group we’ve raced about 6 marathons between Los Angeles and San Francisco. The team consists of Sarah Mattison, Chain Lee, Nam Gip and myself. Since the Berlin Marathon is known for the fastest marathon in the world (and we would never come close to that in this lifetime) we thought a Guinness world record would be pretty epic!